In the world of celebrity and fame, break-ups, make-ups, and hook-ups are as frequent and ubiquitous as the waves in an ocean! There are however a few stars who seem to have escaped the Hollywood curse eventually to find a truly happy life filled with people they love and cherish along with a successful career. Take for instance, the life and times of the gorgeous and talented Goldie Hawn. Two wrongs don't make a right, but in Goldie's case her first two marriages which ended in divorces, eventually led her to her life partner Kurt Russell. 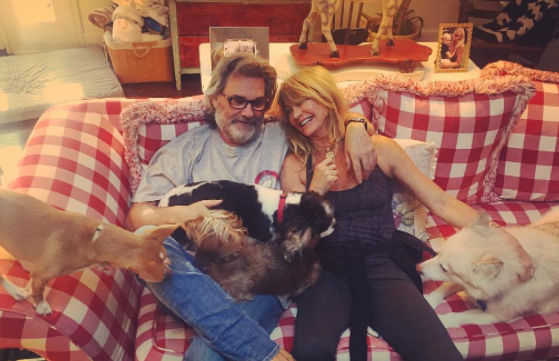 The year was 1983, when Goldie Hawn and Kurt Russell finally met and they've been inseparable ever since. 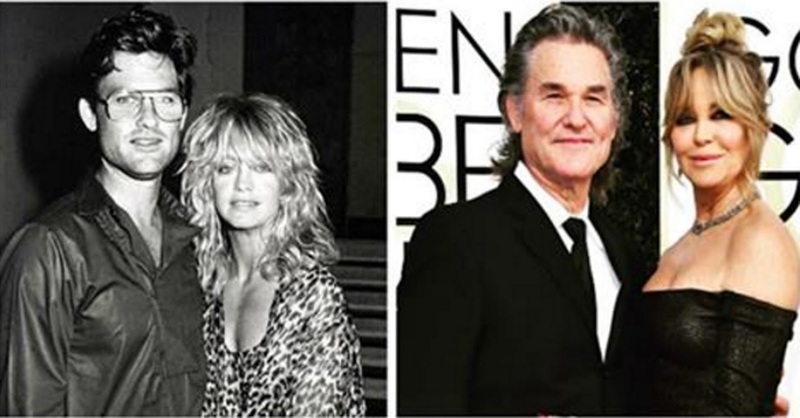 Fast forward to 2017 and Goldie Hawn and Kurt Russell earn the life changing honor of each getting a star on the Walk-of-Fame after years of working hard in their careers. For almost 34 years they have supported each other in their careers, as well as been outstanding parents to their famous kids - Boston, Oliver, Kate, and Wyatt. And while the couple is not married, they did share an equally exciting joint ceremony recently when Hollywood honored this legacy of love, family, and career with a star each on their world famous Walk-of-Fame. Over the course of any celebrities career they hope to one day be granted the honor of getting their name written on an eternal star on the Walk-of-Fame - and now Goldie Hawn and Kurt Russell have both received this life changing honor in their careers together. "Goldie to you, I owe my wonderful life ... All of the stars in the sky or on the boulevard don't hold a candle to that ... So if I am to be honored with this sweet token of memorabilia that is to be sunk forever in the cement of a street whereupon I will be subjected to the constant harshness of the blazing California sun, blowing winds and pouring rains and stray dogs ... and trod upon by the soles of shoes caked with earth from all corners of the globe, there's no one else I'd rather be next to for all of that than Goldie Hawn." Goldie in her speech reminisced about when she first got to Hollywood with her dancing shoes to get her big break and couldn't thank her family enough for just how well her life has turned out. Other famous people present at the event included Quentin Tarantino, Reese Witherspoon, and Kate Hudson, who also made a heartfelt speech about her parents being great role models to her and her siblings. "She changed the possibilities of what women can do in film. Thank you for making us laugh, she has lit up my life. She's changed my life and she's quite simply my idol. I love you Goldie." Here is a sweet video of the Walk of Fame ceremony showing the two still very much in love! With over 50 years in show business, one can only assume all the storms that Goldie and Kurt have endured, but the dual star ceremony was a validation that their love for each other has carried them through. Blame it on evolution and human instincts, but one thing we can all universally agree on is the value of true love and family in ones life. Proving that this can be balanced with a career even in Hollywood are Goldie Hawn and Kurt Russell!